Below you can view all the homes for sale in the Sibley Forest subdivision located in Marietta Georgia. 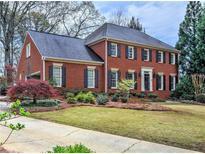 Listings in Sibley Forest are updated daily from data we receive from the Atlanta multiple listing service. To learn more about any of these homes or to receive custom notifications when a new property is listed for sale in Sibley Forest, give us a call at 404-998-4102. Too Much To List. Come See! MLS#6532606. 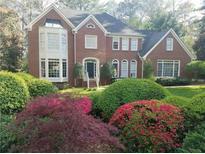 Keller Williams Realty Atl North. Activities Include Halloween, Easter, Christmas, And Social Events. MLS#6530617. Keller Williams Rlty, First Atlanta. 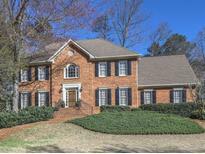 Hardwood Floors, New Windows, On Main, New Carpet/New Lighting/Fresh Paint/Plantation MLS#6527473. Harry Norman Realtors. Executive Brick Home In Upscale S/T Neighborhood/Updated Throughout/Gourmet Kitchen W/Cherry Cabinets, Stainless Steel Appliances, Wolf Cooktop & Granite Opens To Screen Porch Overlooking Prof Landscaped Level Backyard/Built-In Cabinetry In Family Room & Office/ Spacious Master Has Sitting Room & Spa Bath W/Jacuzzi, Granite, Seamless Shower & Custom Closet/ Large Sec Bedrooms & Updated Baths/ Finished Terrace Level Is Complete W/Game, Exercise, Flex rooms Plus Full Bath/ Hardwood Floors On Main/ New Carpet/New Lighting/ Fresh Paint/Plantation Shutters/ Irrigation System/ Walk To Nature Preserve MLS#6517366. Harry Norman Realtors. !Finished Terrace Level! !Great Family Home! !Active Swim/Tennis MLS#6507203. Harry Norman Realtors. The Expansive Peaceful And Private Lot Is Wooded And Could Easily Be Cleared Out And Leveled If You’Re Looking For The Football Field Yard. MLS#6104071. Berkshire Hathaway Homeservices Georgia Properties.